amesigo (7 years ago) Inappropriate? 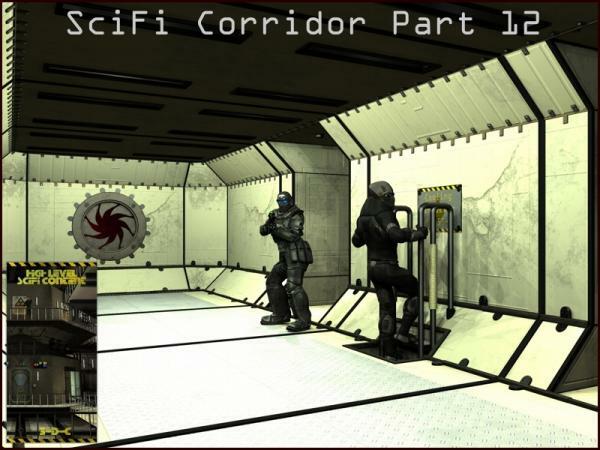 Thanks for all the Sci-Fi Corridors! jmcallaway (7 years ago) Inappropriate? I'll second the request for a ladder through the corridor. You have a great resource here, keep it coming! alchemar (7 years ago) Inappropriate? These are just wonderful, If you are still making these I would like to see the ladder all the way through the Corridor. Thanks for adding so much extra content for your renderosity products!! Love your products!! Pygmee (10 years ago) Inappropriate? One more time a big add-on to the "Pgmeri01 Battlestar Classic".